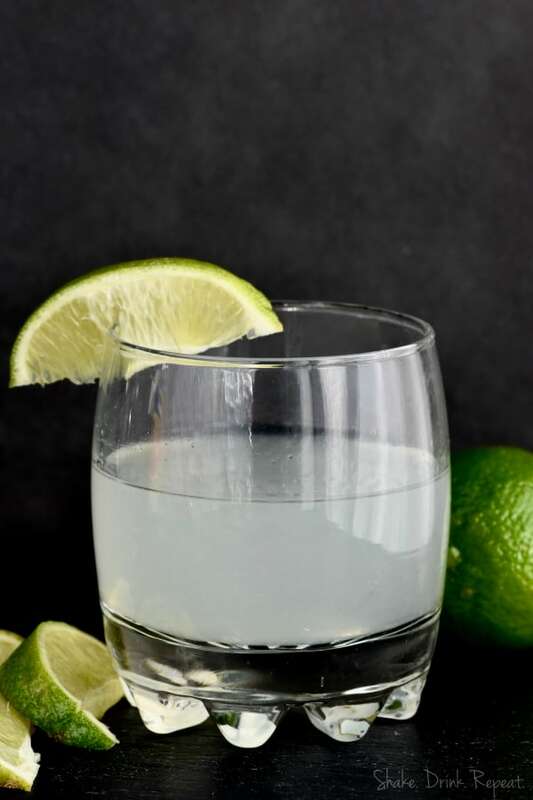 This classic Vodka Gimlet cocktail is the perfect combination of sour and sweet with the delicious taste of lime. 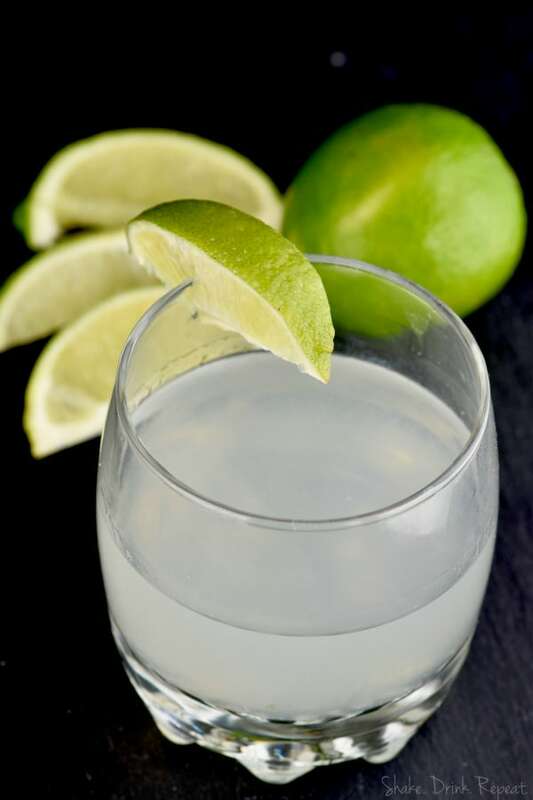 If you love great vodka drinks, make this vodka gimlet recipe! If you are looking for another classic, make this Manhattan cocktail! If you can’t get enough vodka in your life, make sure you make this original Moscow Mule! Around here, a classic Vodka Gimlet straight up is a fan favorite! We love our gimlets and we love them strong. We have sampled many a gimlet, and the key to a great gimlet is quality vodka and the perfect combination of lime juice and simple syrup. WHAT IS IN A VODKA GIMLET? There are definitely different schools of thought on this. Some people think that you can only make a gimlet with Rose’s Lime Juice. Others think that you need to make it with a lime infused simple syrup. We feel pretty strongly that you need fresh lime juice and simple syrup for that perfect balance of sweet and sour. While you can also make a gimlet with gin . . . . and don’t get me wrong, we love ourselves some gin, we prefer to make our gimlets with vodka. And quality vodka at that. There is an intense amount of vodka in this drink, so you want to make it a smooth high(er) shelf vodka that you could drink on it’s own in theory. HOW DO YOU MAKE A VODKA GIMLET? 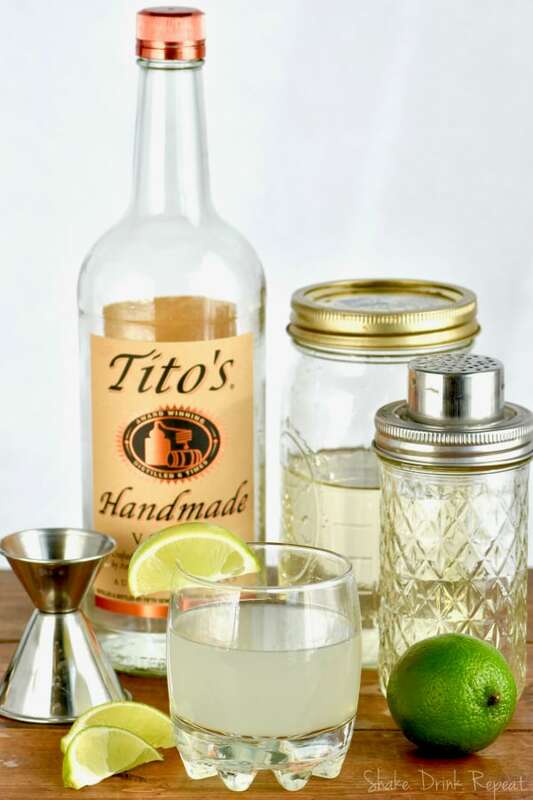 In a shaker, combine your quality vodka, fresh lime juice (strained), and simple syrup. Before you get stressed about simple syrup and think that you want to go buy some, make sure you read our post on how to make simple syrup. It is much easier thank you think! After combining everything in a cocktail shaker and shaking with ice, strain it into a glass, and enjoy! Raspberry Lemon Infused Vodka – I can think of so many things to do with this! Three Ingredient Vodka Drinks Four Ways – She had us at three ingredient . . . adding vodka didn’t hurt. Summer Vodka Fizz – I want this alllll year long! This classic Vodka Gimlet cocktail is the perfect combination of sour and sweet with the delicious taste of lime. In a cocktail shaker filled with ice, combine vodka, lime juice, and simple syrup. Shake, and strain into a cocktail glass.